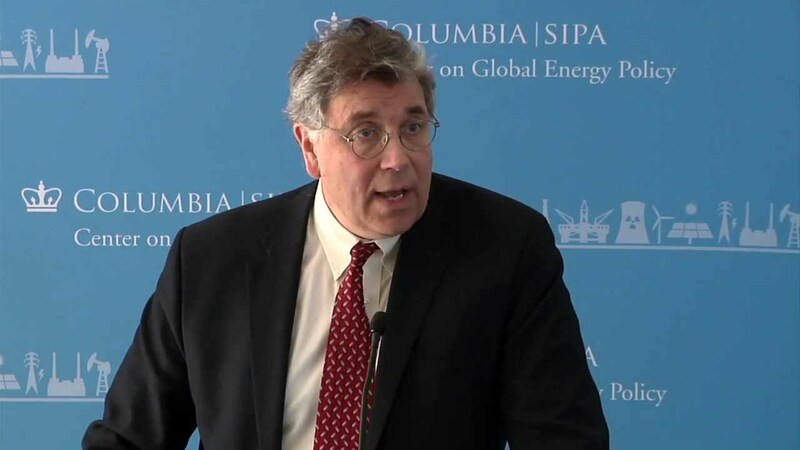 A huge thank you to Michael Lardelli for pointing me to this hour long presentation by Steven Kopits, Managing Director, Douglas-Westwood, for The Center on Global Energy Policy. It was recorded February 11, 2014 and is therefore right up to date, for the time being. It’s not short, obviously, includes bucketloads of data and information which I think will require me to view it twice…… so some commitment to ‘the cause’ is required! But anyone wondering about the cause for Shell’s rout in Australia will be amazed to hear at about 45 minutes that this company actually borrowed money to pay its share dividends……. Is the oil industry in the poo…? ABSOLUTELY. There are several red flags going up in this…. not least China’s apparent decision to slow its involvement in the oil markets. Maybe it can’t afford to buy more resources at the price it takes to purchase them? If ever you needed proof that it’s MONEY that lubricates the economy, even the very oil industry itself (the irony is overwhelming…) then watch this… It is perhaps THE most important video you’ll watch about Peak Oil until the whole shebang falls over in a heap…. it blew MY socks off. Are we already past dangerous climate change? Are we already past dangerous climate change? asks a Mark Cochrane follower over at Peak Prosperity dot com….. This paper (PDF) – not peer reviewed – he ads, is a critique of the AR5 WG1 SPM. David Wasdell lays out a case that the current situation is far worse than the AR5 posits. He uses a much higher value of Earth System Sensitivity to show that we have no carbon budget left, even for 2C. He also uses other sensitivity estimates to show that there is, at best, very little or no budget left to avoid dangerous climate change. Wasdell is one of the climate scientists that Guy McPherson leans heavily on for his NTE scenarios, so this question is quite pertinent to How Guy McPherson gets it wrong.. I read through the 21 page document and it is a good expose of how the politics of the IPCC process shades an already conservative (consensus) representation of what the science indicates is likely to occur as a function of a given amount of greenhouse forcing. For those who do not know, the IPCC process requires 100% consensus of all the authors nominated by all the countries to agree on their interpretation of the data. This means that in the end, after marathon sessions of back and forth, the final interpretation depends on just how far the most skeptical scientists are willing to be moved. These are not ‘alarmist’ interpretations as some would have you believe. Furthermore, the public does not really look at the IPCC report, they look at the Summary for Policy Makers (SPM) which is a short Cliff Notes version. The short version is wrangled over by political appointees (not scientists) who literally argue over every word and every figure. They produce a sanitized version of the report that all governments can support. Again, not conducive to ‘alarmist’ or even the most likely scenarios. That said, the author (Wasdell) of the document you linked and the IPCC authors are talking about two different outcomes with regard to the made up 2C line in the sand for “dangerous” climate change. The SPM is focused on the so-called fast feedbacks (e.g. radiative forcing of greenhouse gases) and the likely temperature impacts within this century. Wasdell is making the case for including both fast and slow feedbacks and using a final equilibrium temperature as the metric of “dangerous” temperature changes. The slow feedbacks include things like changing albedo values from melting ice sheets and methane release from melting permafrost. These slow feedbacks stretch out for hundreds (maybe thousands) of years. So even if we manage to keep increases under 2C this century (unlikely), the planetary temperatures will certainly rise above that value over the following centuries. Though everything we see shows the 2050 and 2100 outcomes of the model projections the IPCC also does some analyses of “Long-term” changes out to 2300. Here is the figure from the AR4. The unrealistic goal of 2C is pretty obvious even on the sanitized Figure 10 in the SPM of AR5 (AR5 SPM link; figure is on page 28). Every scenario but the fantasy RCP 2.6 blows past 2C by 2100 and the trajectories are shooting even higher into the future. The IPCC and especially the SPM make use of the Equilibrium Climate Sensitivity (ECS) for a doubling equivalent of carbon dioxide concentration, which basically accounts for fast feedbacks and is taken to probably be between 2 and 4.5C, with 3C used as the most likely value (note some models show it to be >5C). Wasdell is arguing to use what is termed the Earth System Sensitivity (ESS) which includes both long and short term feedbacks. It is poorly constrained but may be twice as large as the ECS values. In the near term there is not a huge difference in using one over the other and what needs to be kept in perspective is that both approaches are postulating an outcome for a doubled CO2 equivalent that is held constant which is not actually a realistic model of what is likely to happen. It does give a measure of sensitivity though. If you are going to try to make mitigating attempts, going after the fast feedbacks is the most reasonable approach since doing things like reducing methane emissions from fossil fuels (or cows!) could make meaningful changes in the short term that have long term significance, while trying to shade glaciers to mitigate long term feedbacks would be ludicrous. Ultimately though, the 2C threshold is just a chimera created to give policymakers and the public a figure to hang their concerns on. Barring a miracle or a global catastrophe, we are not likely to reduce emissions by the >80% necessary before 2020 in order to maybe squeak in under 2C this century. In any case, the climate change (0.8C) that we’ve already experienced has led to numerous extinctions and many thousands of human deaths (e.g. 80,000 in 2003 Europe, 50,000 in 2010 Russia). Surely this has already reached “dangerous levels”. This is the first time an estimate of Energy Returned on Energy Invested (EROI) of solar Photovoltaics (PV) has been based on real data from the sunniest European country, with accurate measures of generated energy from over 50,000 installations using several years of real-life data from optimized, efficient, multi-megawatt and well oriented facilities. Other life cycle and energy payback time analyses used models that left out dozens of energy inputs, leading to overestimates of energy such as payback time of 1-2 years (Fthenakis), EROI 8.3 (Bankier), and EROI of 5.9 to 11.8 (Raugei et al). Prieto and Hall added dozens of energy inputs missing from past solar PV analyses. Perhaps previous studies missed these inputs because their authors weren’t overseeing several large photovoltaic projects and signing every purchase order like author Pedro Prieto. Charles A. S. Hall is one of the foremost experts in the world on the calculation of EROI. Together they’re a formidable team with data, methodology, and expertise that will be hard to refute. Prieto and Hall conclude that the EROI of solar photovoltaic is only 2.45, very low despite Spain’s ideal sunny climate. Germany’s EROI is probably 20 to 33% less (1.6 to 2), due to less sunlight and efficient rooftop installations. Commenters frequently remark that such-and-such an energy source has an Energy Return on Energy Invested (EROI) ratio of greater than 5:1, so must be a helpful addition to our current energy supply. My finding that the overall energy return is already too low seems to run counter to this belief. In order to extract oil or create biofuels, or to make any other type of energy investment, at least four distinct elements described in Figure 1: (1) adequate payback on energy invested, (2) sufficient wages for humans, (3) sufficient credit availability and (4) sufficient funds for government services. If any of these is lacking, the whole system has a tendency to seize up. EROI analyses tend to look primarily at the first item on the list, comparing “energy available to society” as the result of a given process to “energy required for extraction” (all in units of energy). While this comparison can be helpful for some purposes, it seems to me that we should also be looking at whether the dollars collected at the end-product level are sufficient to provide an adequate financial return to meet the financial needs of all four areas simultaneously. My list of the four distinct elements necessary to enable energy extraction and to keep the economy functioning is really an abbreviated list. Clearly one needs other items, such as profits for businesses. In a sense, the whole world economy is an energy delivery system. This is why it is important to understand what the system needs to function properly. To my knowledge, no one has directly proven that a 5:1 threshold is sufficient for an energy source to be helpful to an economy. The study that is often referred to is the 2009 paper, What is the Minimum EROI that a Sustainable Society Must Have? (Free for download), by Charles A. S. Hall, Steven Balogh, and David Murphy. This paper analyzes how much energy needs to be provided by oil and coal, if the energy provided by those fuels is to be sufficient to pay not just for the energy used in its own extraction, but also for the energy required for pipeline and truck or train transportation to its destination of use. The conclusion of that paper was that in order to include these energy transportation costs for oil or coal, an EROI of at least 3:1 was needed. Clearly this figure is not high enough to cover all costs of using the fuels, including the energy costs to build devices that actually use the fuels, such as private passenger cars, electrical power plants and transmission lines, and devices to use electricity, such as refrigerators. The ratio required would probably need to be higher for harder-to-transport fuels, such as natural gas and ethanol. The ratio would also need to include the energy cost of schools, if there are to be engineers to design all of these devices, and factory workers who can read basic instructions. If the cost of government in general were added, the cost would be higher yet. One could theoretically add other systems as well, such as the cost of maintaining the financial system. The way I understood the 5:1 ratio was that it was more or less a lower bound, below which even looking at an energy product did not make sense. Given the diversity of what is needed to support the current economy, the small increment between 3 and 5 is probably not enough–the minimum ratio probably needs to be much higher. The ratio also seems to need to change for different fuels, with many quite a bit higher. The seemingly most reliable information on ERoEI is quite old and is summarized in chapter 12 of Hall et al. (1986). Newer information tends to fall into the wildly optimistic camp (high EROI, e.g. 10:1 or more, sometimes wildly more) or the extremely pessimistic (low or even negative EROI) camp (Tyner et al. 1998, Tyner 2002, Fleay 2006 and Caldicamp 2006). One recent PhD analysis from Sweden undertook an emergy analysis (a kind of comprehensive energy analysis including all environmental inputs and quality corrections as per Howard Odum) and found an emergy return on emergy invested of 11:1 (with a high quality factor for electricity) but it was not possible to undertake an energy analysis from the data presented (Kindburg, 2007). Nevertheless that final number is similar to many of the older analyses when a quality correction is included. Notice this was written in 1986. As the quality of Uranium ores worsen, (they’ve worsen rapidly since 1986…), nuclear will be no more able to keep Business as Usual running than solar. As extraction and depletion have operated over time, the average ore grade has decreased and the uranium has become more and more dispersed within the background substrate, plus the total amount of uranium we can extract can decrease as well. Leuwen (2005) argues that the empirical extraction yield declines much more sharply than the hypothetical one, which could come into play if there is a large increase in nuclear capacity in the coming decades. 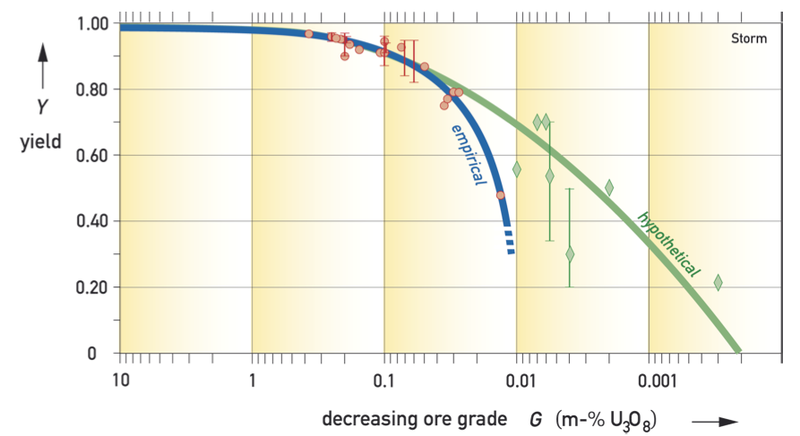 Figure 6 – % of Uranium Extracted from Ore as a Function of Ore Grade (Leeuwen 2005). Click to Enlarge.An increasing portion of the world’s uranium comes from in-situ leaching (ISL) (Hore-Lacy 2007). Just enjoy life in the quiet lane……. it’s not that bead, really….. This is a cool, and dramatic two minute video of the history of life on Earth. The music’s great too, so turn the sound up!! Obviously made by an American….. dwells on 911 just long enough to give it away! Mark Cochrane, our resident Climate Scientist, has been ‘offline’ for quite some time, busy with work etc….. Here is a little insight from Mark on the so-called hiatus in global warming. Since about 1998, global surface temperatures have been largely flat. They are still creeping up but they are proceeding at nowhere near the rate of the previous decade or the average expected from global climate model ensembles. So what is going on? Is there something wrong with the whole idea of greenhouse warming? We receive shortwave electromagnetic radiation (sunlight) from the sun. We’ve had satellites measuring this directly since the late 1970s. As anyone who has seen the famous “Blue Marble” images of the Earth knows, a portion of that sunlight bounces off with more reflection from clouds and snow than soil, vegetation and water. This is variable in space and time but comes out to roughly 30%. We’ve had satellites measuring this and longwave (heat) radiation too, so we know what went in and what came back out from the planet in terms of energy. The rest of that energy has got to be somewhere on Earth. Of that remaining 70% of the solar energy reaching the earth but not reflected by natural substances, roughly half is deflected either directly (haze) or indirectly (cloud changes) or by aerosols (pollution). Another 20% has been screened by volcanic aerosols from a few large eruptions in the last half century (Agung, El Chichon, Pinatubo). Thankfully another 20% has been radiated back to space as the earth’s temperature has risen. This important negative feedback rises at the fourth power of the temperature. For those counting at home, that leaves 10% to cause all of the temperature changes that we commonly consider as ‘global warming’. Over 90% of that energy goes right into the oceans and so mankind is really whining about less than 1% of the energy changes that show up in the air and land temperature changes. (You can read Murphy et al 2009 for a fuller description). But what has this got to do with the hiatus? Well, just think of it this way. Since the oceans take up over 90% of the incident radiating energy, just small changes in the way that energy is being distributed in the oceans will have significant impacts for the temperatures that we feel on the land. What could cause such a change? The ocean has a number of its own dynamic patterns that change the distribution of warmer and cooler waters. One well known pattern is the El Nino/La Nina (ENSO) phenomena (erratic 2-7 year changes). A less well know and longer period change is the Pacific Decadal Oscillation (PDO). A full understanding of how the phase changes occur is still lacking but the current thinking basically goes like this – The very strong El Nino of 1997-98 allowed warm water to spill back from the western Pacific and cross the oceans toward Peru. The El Nino period exposed a lot of warm ocean water to the atmosphere and transferred a lot of heat to the atmosphere causing no end of weather havoc and cooling the ocean. The Pacific Decadal Oscillation (PDO) is somewhat similar but larger in extent than ENSO. Every 15-30 years it switches its own phases. 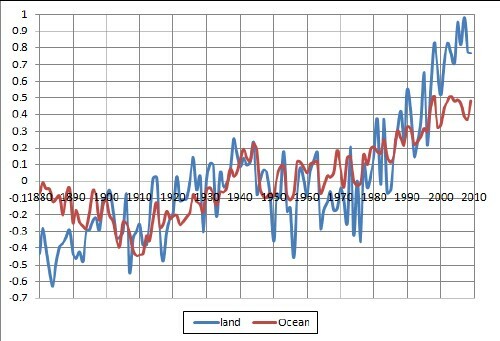 In the warm phase from around 1920-1945 the Earth warmed rapidly. Then in the cold phase from 1946-1975, planetary temperatures stabilized in their last hiatus. From 1976-1998 we had another warming period. That’s about when the PDO went into another cold phase and the current ‘hiatus’ began. With lots of very warm (30 C) water being forced deep. This leads to increased transfer of energy into the deep oceans. Voila, the missing heat we notice at the surface of the land isn’t missing from the planet. It is just being put into deep storage. For a fuller description please see Trenberth and Fasullo 2013 and Tollefson 2014. So while there may have been a pause in global surface warming, there has not been any hiatus in global warming as a whole. With the weather getting more erratic even at this relatively mild amount of warming, give a thought to what may come the next time the PDO shifts back to the warm phase and excess heat is released to the atmosphere. But having said that, Scott Johnson’s analysis is excellent……. Recently, a few Ars Technica commenters have been posting references to the work of Guy McPherson on climate articles. 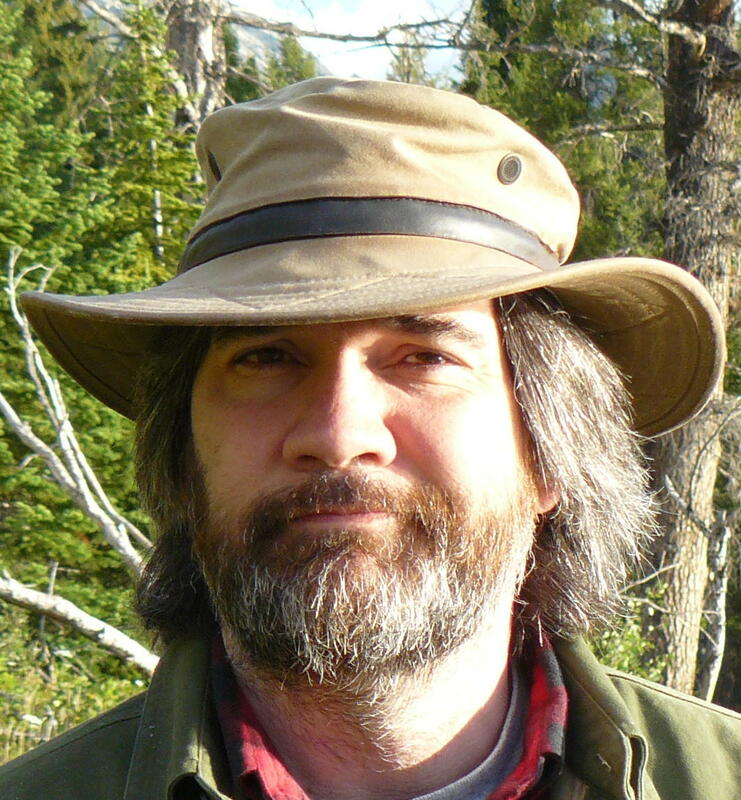 McPherson is a retired professor of ecology at the University of Arizona, and he runs a blog called Nature Bats Last. In recent years, he has turned his energies to dire warnings of impending climate catastrophe. Those warnings go far beyond what you’ll find anywhere else: McPherson believes humans will go extinct in as little as two decades.